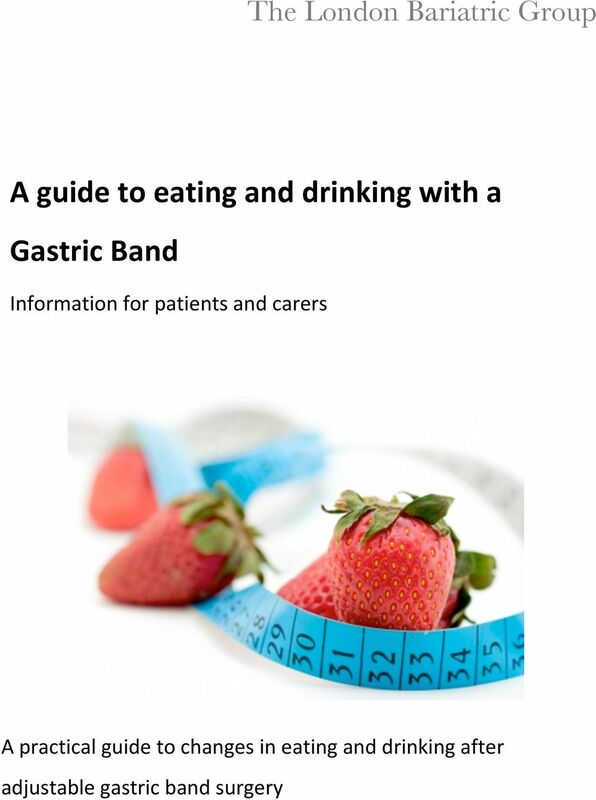 Download "A guide to eating and drinking with a Gastric Band"
Gastric Banding. 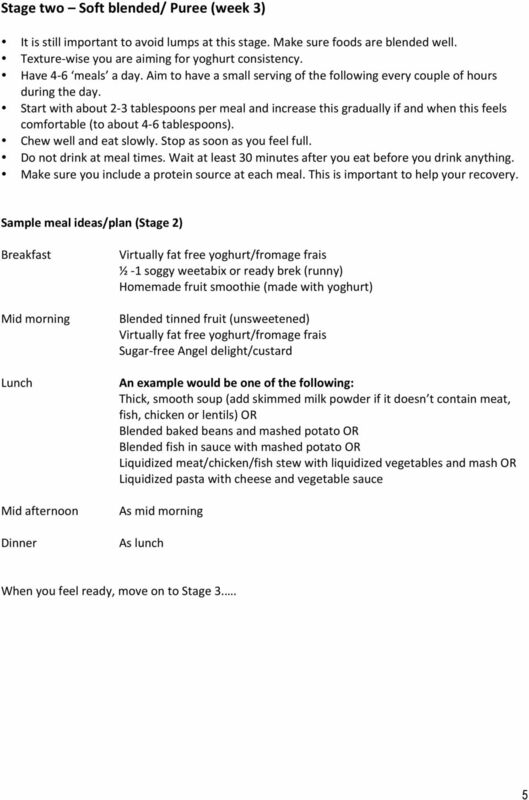 Liquid Diet - Two weeks post-operatively. Fawkner Park Nutrition Services. The Avenue Clinic, 42 The Avenue, Windsor. 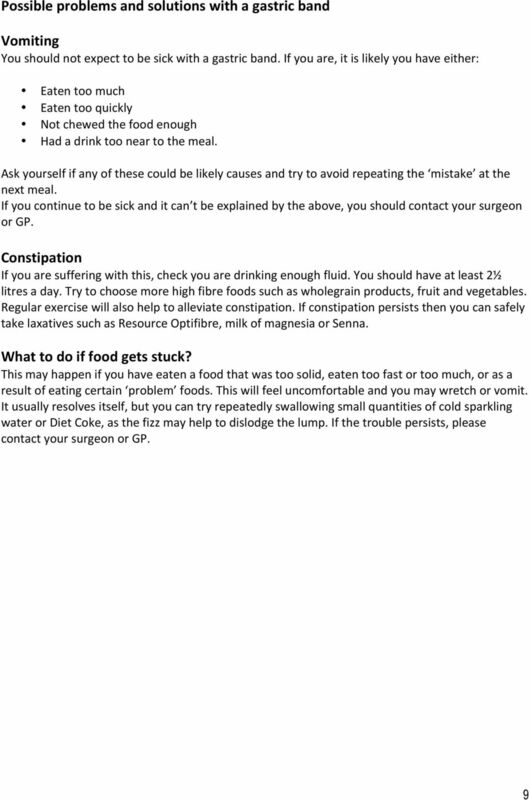 Leicestershire Nutrition and Dietetic Services DIETARY ADVICE FOR CONSTIPATION What is constipation? 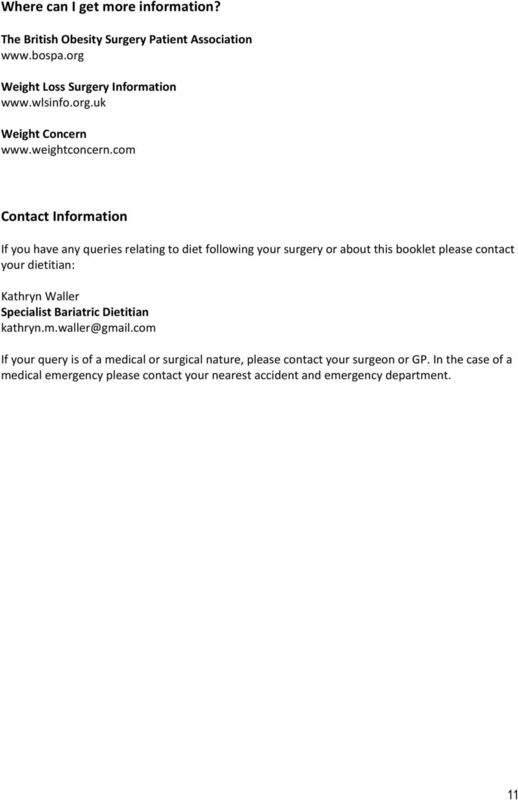 Constipation is one of the most common digestive complaints. 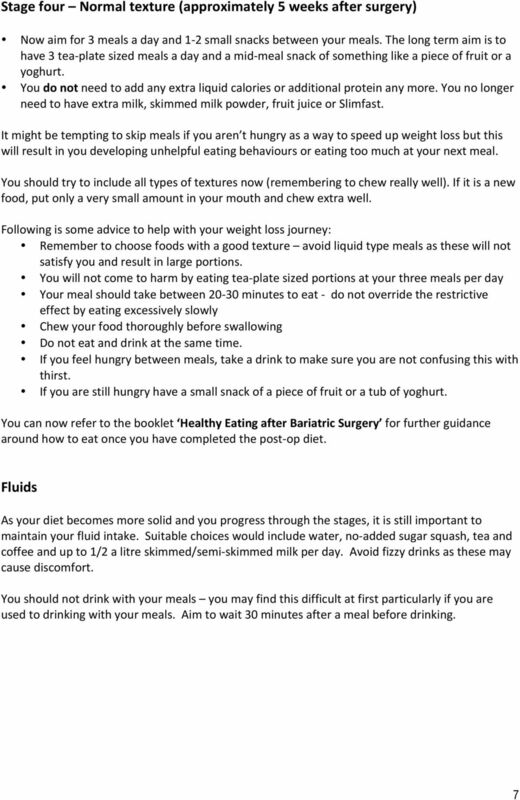 Normal bowel habits vary between people. 1. Deciding on the Food Budget and Which Foods to Spend Most Money on. It is thought that as many as 1 in 5 pre-menopausal women may be affected to various degrees by this syndrome. 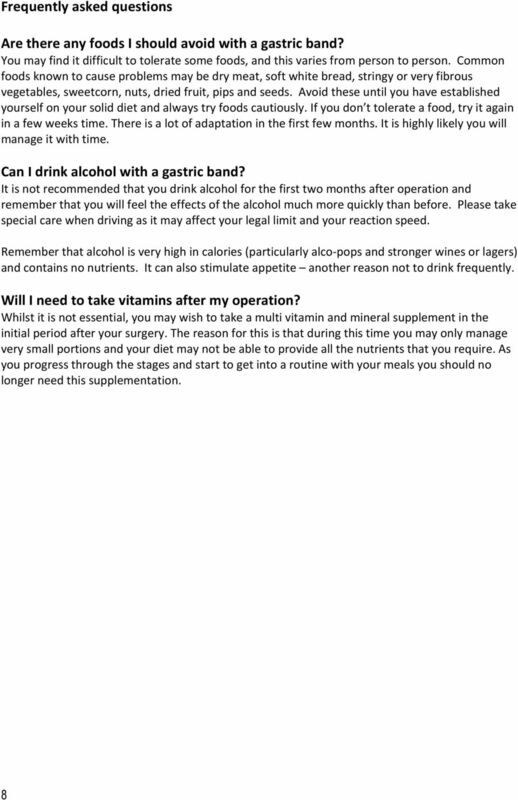 gestational diabetes my pregnancy, my baby, and me What is Gestational Diabetes? Gestational diabetes occurs when your body cannot make adequate use of sugar in the blood. It is first found during pregnancy. 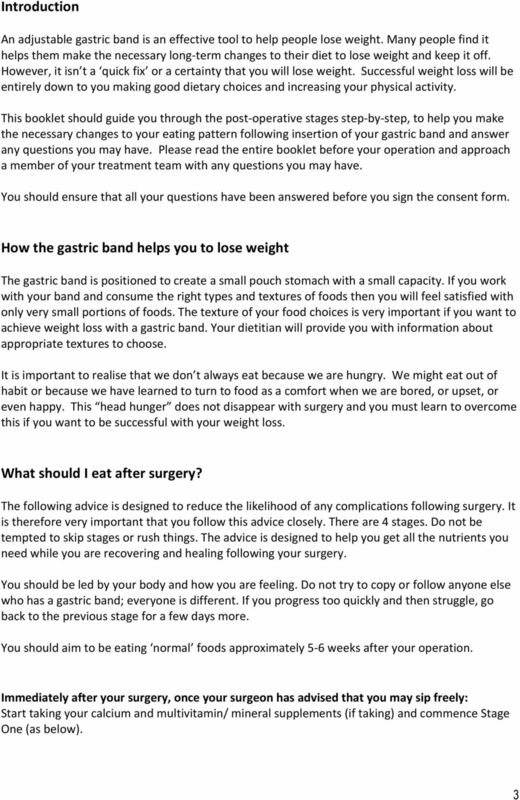 Bariatric Care Center Gastric Bypass & Sleeve Gastrectomy Post-Op Diet Nothing by Mouth (Night of Surgery) Clear Liquids (Days 1-3) Starts the day after surgery Clear liquids must be plain or sugar-free. 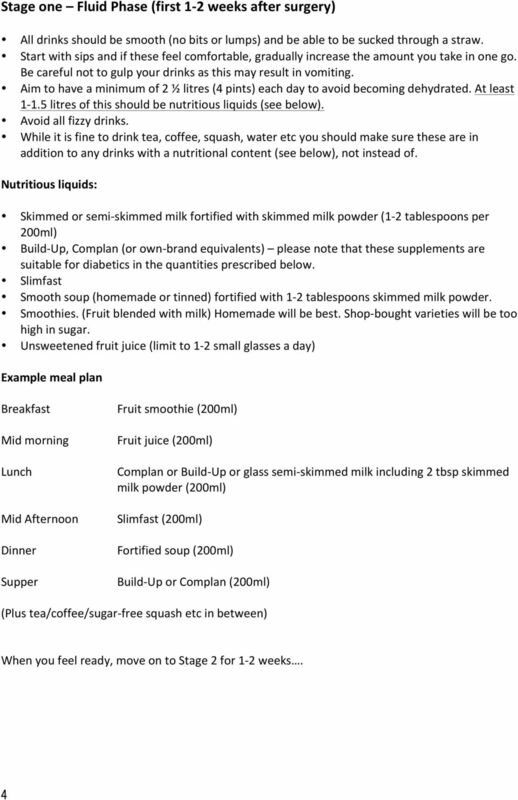 Page 1 The goal of Carbohydrate Counting is to make clear to you which foods affect your blood glucose and then to spread these foods evenly throughout the day (or to match insulin peaks and durations).